Uses: I only thought appropriate to end this 31 days of tools with something a little more interesting. 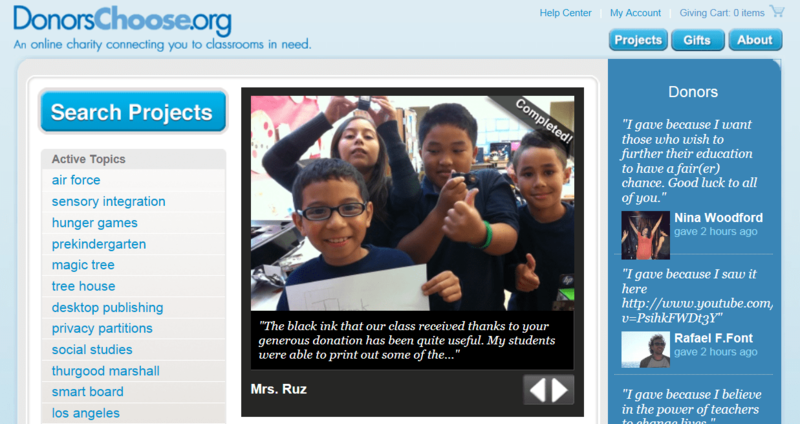 Donors choose is a website that allows you to post lists of materials needed for your classroom or specific projects and donors are given the opportunity to choose which classes/projects they would like to fund. Doesn’t hurt to give it a try, so share your needs and hopefully you will be able to take your students’ educational experiences to a more real-world experience level.